Manufacturer of a wide range of products which include nail welding wire and coil nails welding wire. 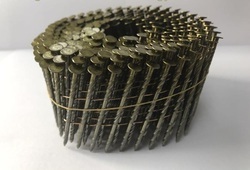 Welding wire for coil nails commonly known as Nail Welding wire is Copper-coated, soft-annealed wire for continuous welding of coil nails. 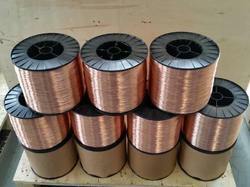 Soft-annealed, copper-coated, low-carbon welding wire. Thin copper coating with good adhesion for perfect welding results. Good corrosion protection due to eco-friendly coating.